A newly-published patent suggests that a Dell-branded foldable tablet PC is in the works. Foldable computing devices trend is undeniably on the rise as the leading tech manufacturers, including Microsoft, Samsung, Xiaomi and Huawei, are reportedly planning to release their foldable devices this year. 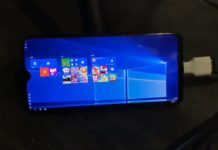 According to a new patent filing, Dell is also working on its own foldable dual-screen device that might be powered by Windows 10. 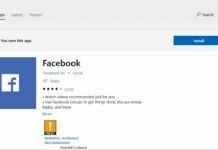 First spotted by us, a patent application entitled ‘Flexible information handling system display external hinge structure’ was filed by Dell in June 2017 and it was published by USPTO on September 25, 2018. 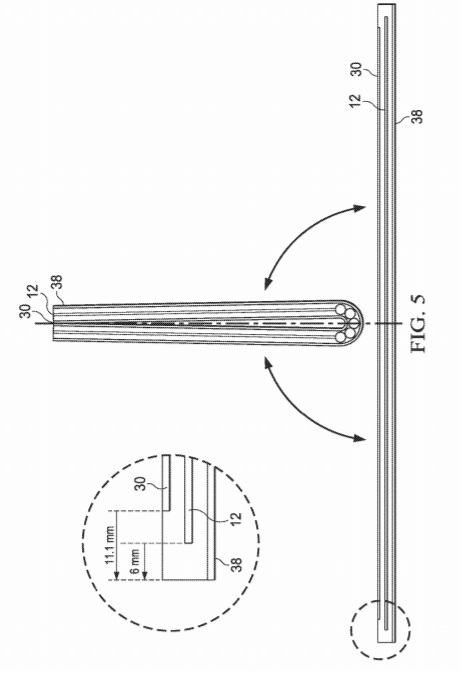 A patent application published by the U.S. Patent and Trademark Office reveals a 2-in-1 device from Dell that features an external hinge structure and folding display. 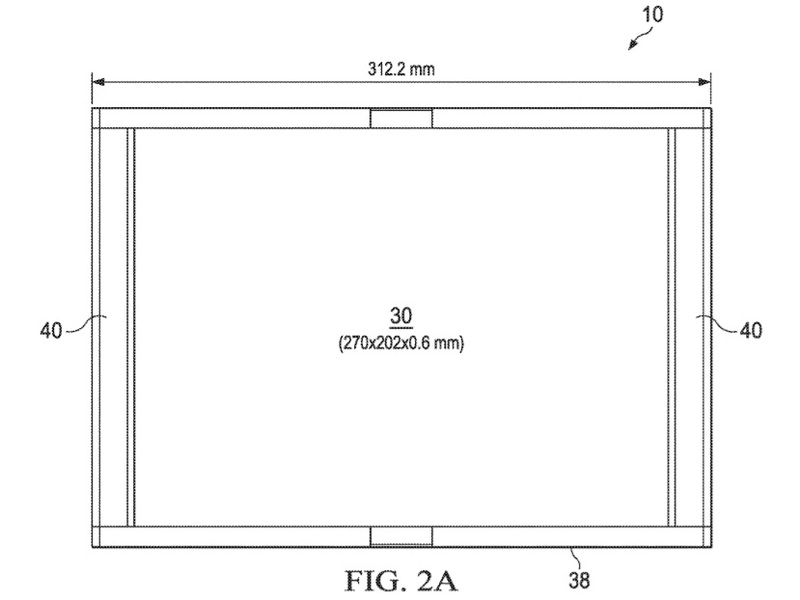 In the patent application, a computing device comprising first and second housing portions, a hinge coupling the two portions have been explained. The hinge has plural link elements rotationally coupled together. The elements could rotate the coupled elements and maintain the link element faces within adjacent link element cavities so that gaps do not present between the link elements. The diagrams appear to relate to the foldable tablet that would work as a 2-in-1 device when unfolded, rather than a smartphone-sized mobile computing device. 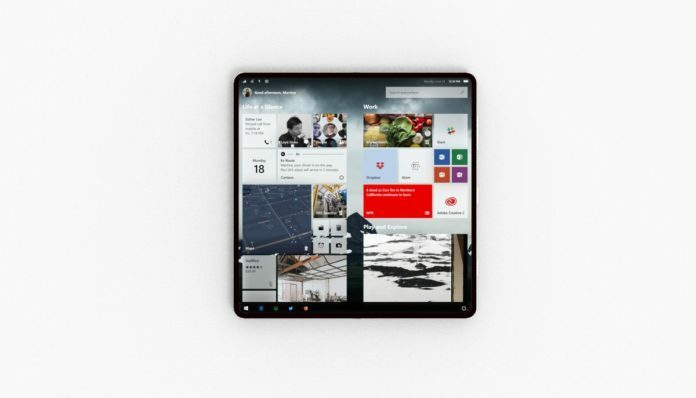 In the drawing embed below, it can be seen that a laptop-sized device has been folded into a small tablet and the external hinge surface is also noticeable. Image Courtesy: USPTO”An information handling system having rotationally coupled housing portions supports a flexible display disposed across the housing portions with a hinge structure that manages flexible display curve radius in a folded configuration. The hinge includes plural hinge elements having an arc face, arc cavity interior and mounts that couple with hinge coupling elements. The mounts align the hinge coupling element rotational axis out of the cavity to aid in maintaining the hinge elements having no gaps during rotation of the information handling system housing portions. The hinge coupling element integrates friction plates disposed normal the rotation axis to generate torque for managing housing rotational movement,” Dell explains. As per the patent drawings, Dell’s foldable device appears to be a 2-in-1 tablet with PC-like functionality. 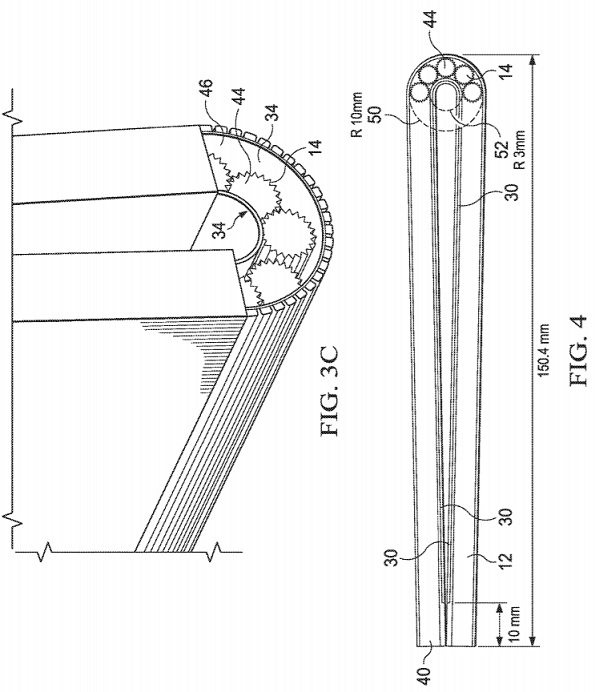 It’s worth noting that a patent filing doesn’t necessarily mean that the product will make it to the market, but it’s possible that Dell might soon join the foldable devices trend.